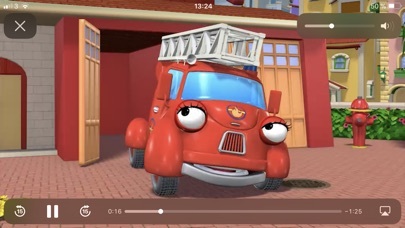 Heroes of the City Baby App offers three videos starring animated characters Pauli Policecar, Fiona Fire Engine and Calamity Crow. 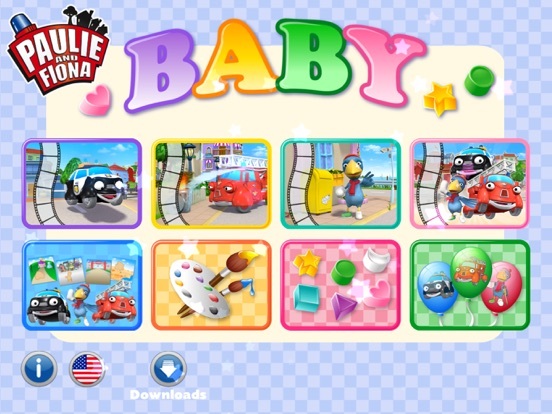 There are also three games for very young children. Heroes of the City is a pleasant app designed for the very young. 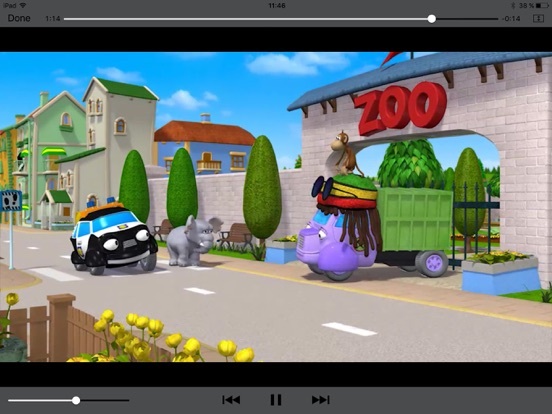 The app offers 3 short videos introducing characters from a larger series, an option to play the videos separately or automatically in sequence, and four activities that young children will enjoy. All features work well. The narration is clear and well-read, and the videos have just the right touch of excitement for little children. I do wish there were more background information available about the app itself and about the series. 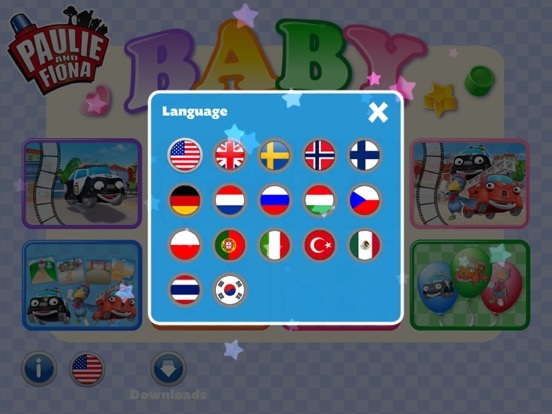 The developers and the website both indicate that it is connected to a television show, but it’s not one that is likely to be familiar to an American audience. 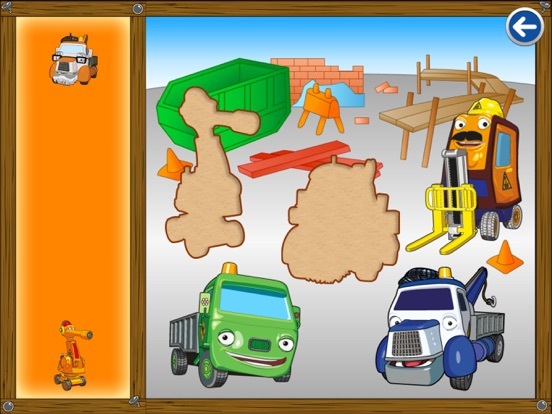 The games included with this app are educational for toddlers and young preschoolers. One game is basically an electronic busy box, set up like a car dashboard with turn signals, windshield wipers, horn, radio and so forth. 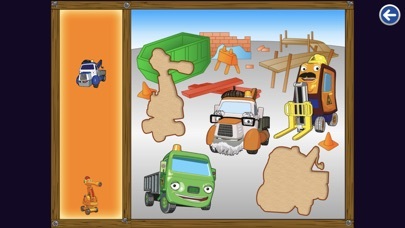 A second game challenges children to match colored shapes with the correct “holes” similar to shape sorting games that children have played for time immemorial. There is good variety and complexity to the shape selection, including stars, moons, crescents and so forth, and the game seems to continue as long as the child wishes to play with randomized sets of three shapes to drag into the correct spot. The third activity is a blank electronic “paper” that allows children to draw and scribble in a variety of colors. Colors are changed by tapping the frame in any place, so even the very young will quickly learn how to choose the colors they want. There does not seem to be any way to save the creations in a gallery, but a parent could use the iPad’s screen shot feature to preserve artwork for the refrigerator (real or virtual). Finally, there is a balloon-popping activity that will hone fine motor coordination as children poke the moving targets to pop them. It was a bit surprising that the games did not have more thematic elements. 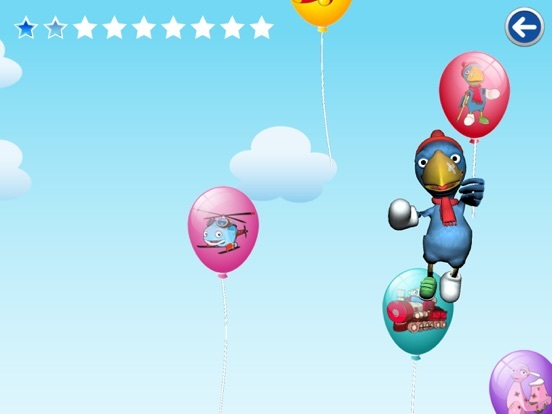 Aside from a few decorations in the frame and the balloons that contain thematic characters, there’s not much connection to the app’s videos. Developers may want to consider adding more connections, since this would be a great opportunity to build memory and recognition skills. Heroes of the City Baby App will certainly entertain young children for a while, but the videos are short, and some will tire of them fairly quickly. The games are simple and repetitive, and once a child has mastered the skills involved, they are also not likely to hold interest for long. 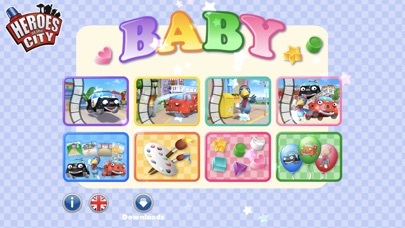 It would perhaps improve things if the rewards for correct responses were a bit more noticeable; at present, stars light up at the top of the screen, and the sequence begins again after 10 stars on the balloon game, and the shape matching game shows the same fireworks animation every time a set of shapes are matched correctly. The app does fulfill its self-proclaimed mission of teaching basic tablet usage skills, but there is some question about whether this is valuable for such young children. Certainly they can play the same games with tangible, real-world items and perhaps get more benefit in the long run. This app is free, and so is a good value even if your child loses interest after a few weeks. The skills that the activities focus on are good, solid readiness skills that every child needs to master for later academic success, and the drawing game will offer an outlet for self-expression and creativity. All in all, it’s a good app to check out, especially if your child is just starting to use an iPad. Heroes of the City Baby App is very child friendly. There are no outside advertisements, no in-app purchases, and no links to social media. A parents’ section is well protected by a system where number words must be read and then pressed in order. It contains information about the app developers, a link to their website, and links to download related apps from the App Store. One minor concern is that the language switch (between British English and Swedish) is open and accessible, and perhaps in a location that makes it particularly susceptible to accidental taps (the lower left corner of the screen). 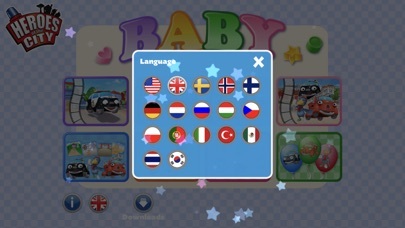 It would be easy (and very frustrating) for a young user to accidentally switch the languages and find themselves listening to the videos in an unknown language.